John Verkuilen leads Sine Nomine's 26th season. John Verkuilen is thrilled to join Sine Nomine as their new Artistic Director for the upcoming season. John currently serves as the Interim Artistic Director of Calliope, a Boston-based chorus and orchestra. Recently, John finished his second and final year as the Assistant Conductor of the Newburyport Choral Society. After completing his graduate studies in conducting at The Boston Conservatory under Dr. George Case, John taught theory and voice lessons at the Conservatory's Vocal/Choral Intensive, where he also served as Assistant Conductor. While at The Boston Conservatory, John served as Assistant Conductor for the Women's Chorus, Conservatory Chorale, and Conductor's Choir. As a member of the Conservatory's opera department, John worked as Chorus Master and Assistant Conductor for the production of Verdi's La Traviata and performed in Mozart's Le Nozze di Figaro. John also completed a Conducting Apprenticeship with Berkshire Choral International in western Massachusetts where he worked with and learned from some of the nation's top conductors. John earned his bachelor's degree in International Studies, Economics, and Music from Macalester College in St. Paul, Minnesota. An active member of Macalester's music department, he founded and served as music director for four vocal and instrumental ensembles. John sang under the guidance of the all-male ensemble Cantus as a student and was selected to sing as a member of Westminster Choir College's Summer Chamber Choir. 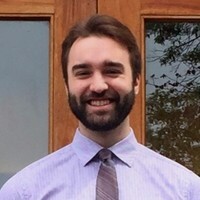 Upon graduation, John assumed a position as Macalester's Assistant Choral Director as well as with St. Olaf Catholic Church in Minneapolis, where he served as conductor and resident composer as well as studied music liturgy and organ with Dr. Lynn Trapp. Recently, John performed several productions as a member of the Minnesota Opera and as soloist with the Newburyport Choral Society. John currently enjoys an active career in Boston as a consultant, private voice teacher and coach, and vocalist. John is an avid sports fan and outdoorsman and spends much of his personal time in those areas. Sine Nomine was founded in 1993 by Glenn Giuttari as a celebration of the a cappella choral sound. A native to the area, Glenn Giuttari studied musicology at Brown University with the organ as his principal instrument. He taught at Salve Regina University, leading the chorus and serving as department chair before being appointed Director of Music for the Cathedral of St. Mary of the Assumption in the Diocese of Fall River. He is the the founding director of Sine Nomine, the co-founder of the Providence Singers, and was music director of Cabot Street Playhouse (Gilbert & Sullivan). He is a past president of the American Choral Directors Association. In addition to his work with choruses, Glenn studied harpsichord with John Gibbons and began building harpsichords in 1969, focusing on smaller instruments and continuo organs throughout his career. He is currently the harpsichordist with The Greybeards, and continues his early keyboard work in Rehoboth, MA. Giuttari led the group in many artistic accomplishments, including commissions & premieres of new works. Throughout his tenure there were collaborations with the Ocean State Chamber Orchestra, the Boston Camerata and the National Convention of the Organ Historical Society (2005). Giuttari directed Sine Nomine for 13 years, including our 25th anniversary year in 2017. In 2006, Sine Nomine named Paul Cienniwa artistic director. Cienniwa's artistic vision continued our development as an early music choir not afraid to premiere the works of contemporary composers. During his seven year tenure, Sine Nomine had the privilege of collaborating with the New Bedford Symphony Orchestra, Providence College and was invited to perform at numerous community events including the Warren Walkabout and New Bedford's AHA Night. Cienniwa was also the founding director of Newport Baroque, an organization with which we enjoyed several exciting collaborations. Joseph Fort was named Artistic Director in 2013. Under his leadership, we actively pursued new commissions and meaningful collaborations. We presented the kickoff concert celebrating the city of Dartmouth's 350th Anniversary, and gave a rare litugical performance of Sergei Rachmaninoff's All-Night Vigil, Op. 37 at St. Michael's Ukranian Orthodox church as part of their evening service. In 2015, Fort was appointed Director of the Chapel Choir, Organist, and Lecturer for the Music Department at King’s College, London. In the fall of 2015, we welcomed our fourth artistic director, Daniel P. Ryan, whose vision inspired ever more innovative collaborations. Ryan's debut concert boasted the world premiere of a newly commissioned work, and in 2016, we offered a ground breaking performance of Orazio Vecchi's 16th century madrigal comedy, L'Amfiparnaso, joined by a troupe of masked commedia dell'arte actors. Ryan worked to cultivate ties with local artists, musicians and cultural organizations to further enrich our community. Ryan was named Director of Choral Activities at Clark University in 2017.